For this project our team installed white-painted cabinets with a raised-panel door style, cup pulls on drawers, and round knobs on doors. Also notice the pot filler over the stove, marble countertops, wood butcher block island countertop, can lighting, wood flooring, and spice racks on each side of the stove for convenience. 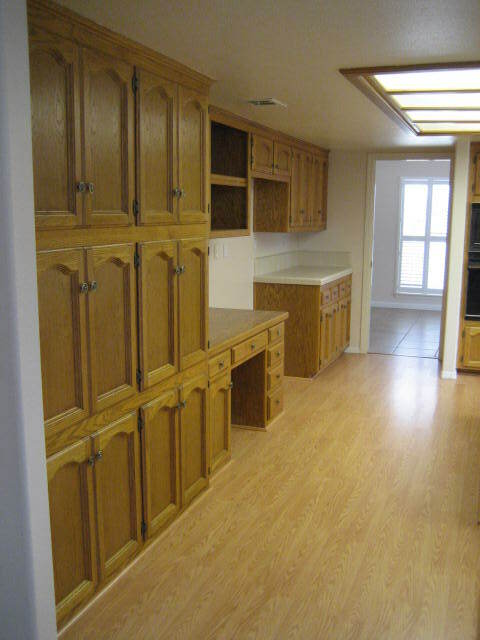 Learn more about our Custom Kitchen Cabinet services here.